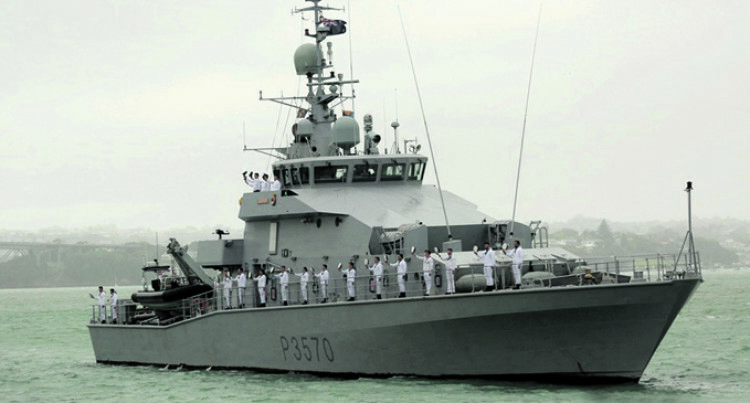 New Zealand Naval Vessel HMNZS Otago (P148) will be deployed to Fiji between Septembers to November this year. HMNZS Otago will take over when HMNZS Taupo in August. HMNZS Taupo is currently in Fiji on surveillance work and on her departure HMNZS Otago will continue conducting patrols in Fiji’s wider Exclusive Economic Zone. The ship is named in honour of the New Zealand province of Otago, associated with the city of Dunedin. The previous HMNZS Otago (F111) was a Rothesay-class frigate that served in the Royal New Zealand Navy from 1960 until 1983. New Zealand defence adviser Josh Wineera said the current vessel was a protector class off-shore patrol vessel. “The ship was built by Tenix as part of New Zealand government’s Royal New Zealand Navy plans, and was expected to enter service in late 2008,” Mr Wineera said. “Since then she has served on lengthy patrols of the Antarctic. t “Her duties included fisheries protection, conservation and transportation of scientific staff. “The scientists that travelled on Otago discovered 90 new species of seaweed on a single sub-Antarctic island.